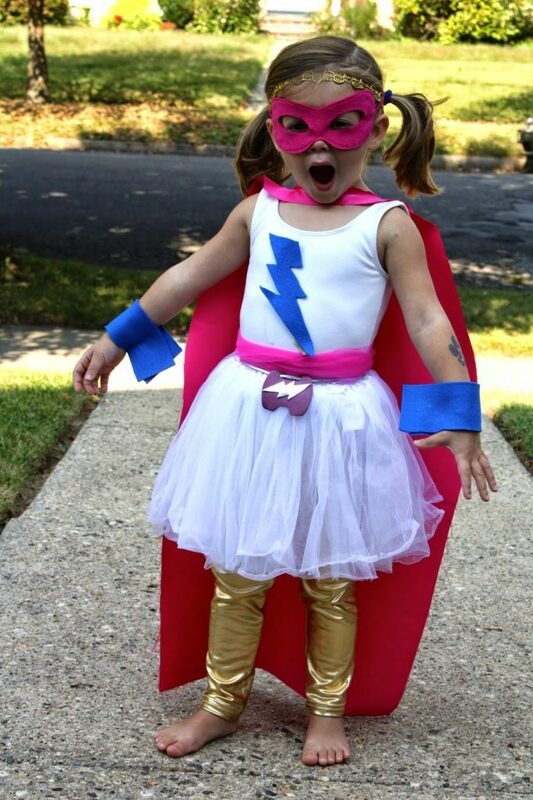 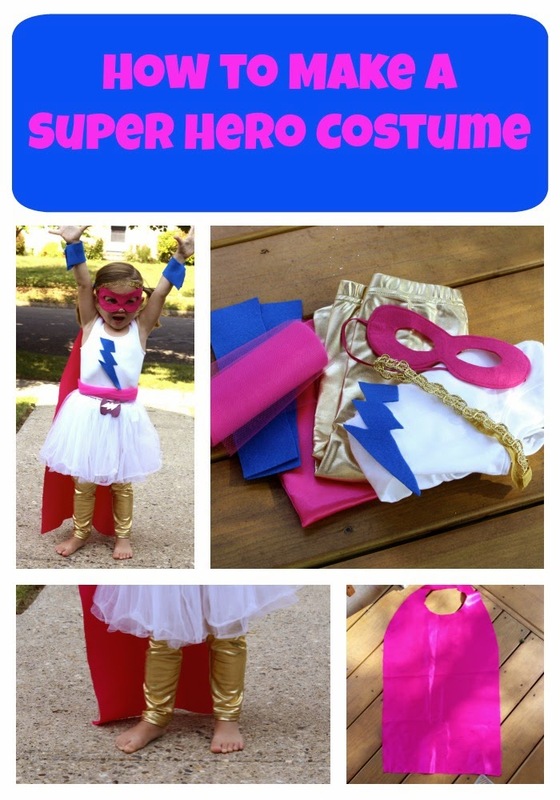 For directions on how to make this Supehero costume, click here. 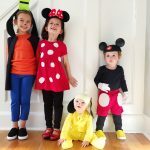 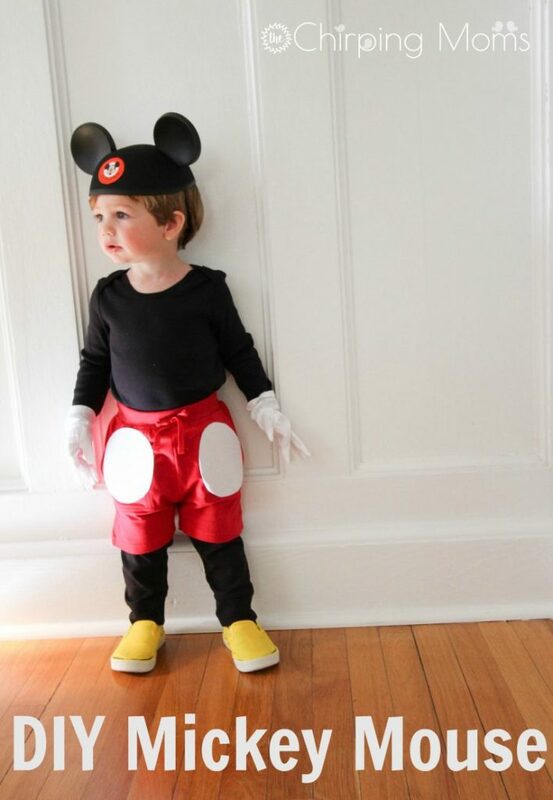 For directions on how to make this Mickey Mouse costume, click here. 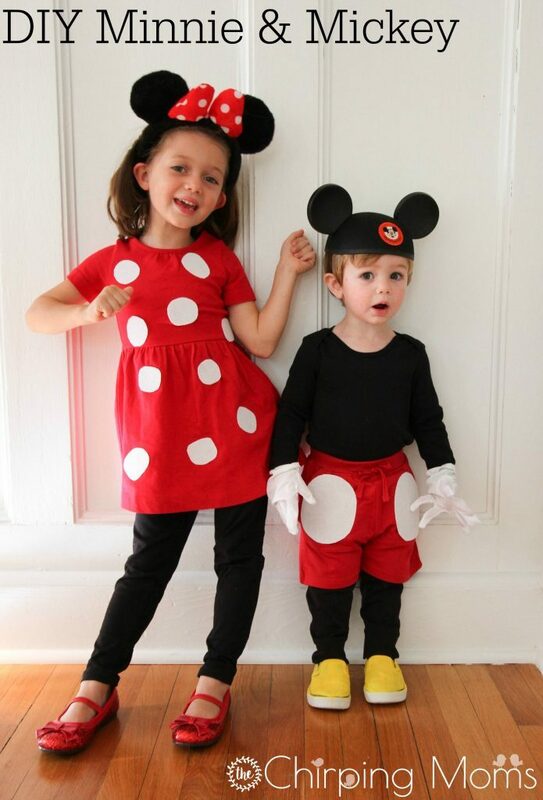 For directions on how to make this Minnie Mouse costume, click here. 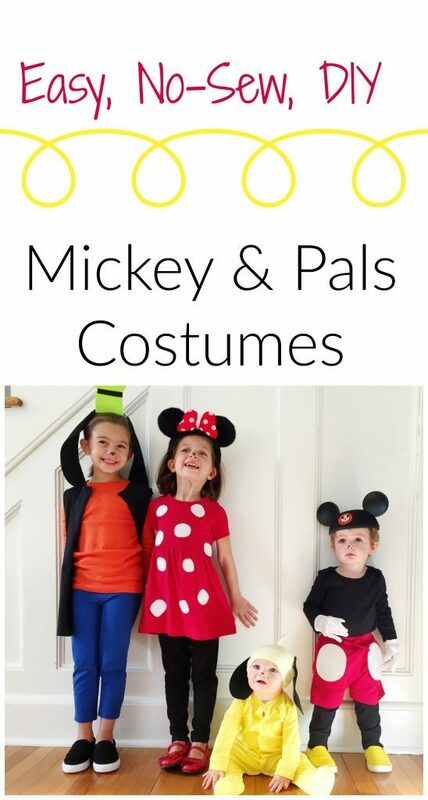 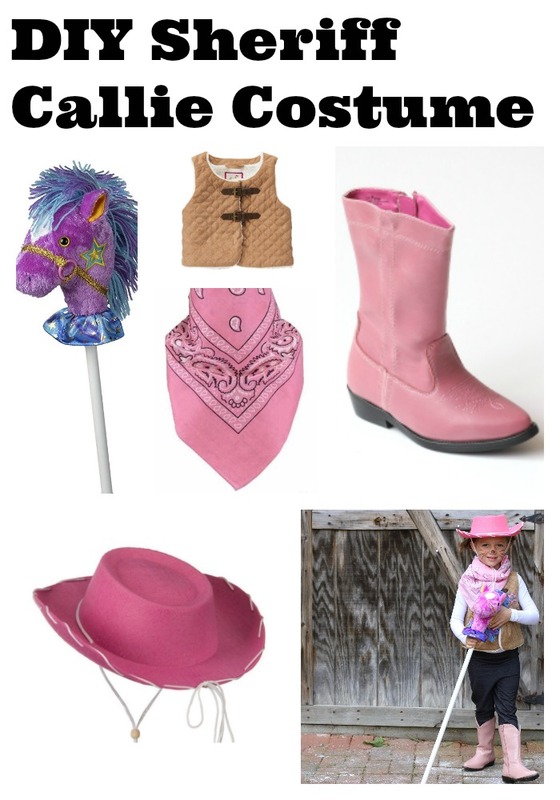 For directions on how to make this Goofy costume, click here. 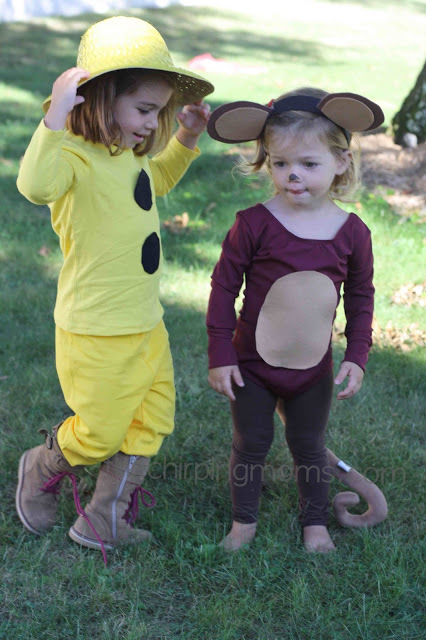 For directions on how to make this Curious George and The Man in the Yellow Hat costume, click here. 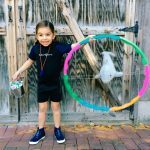 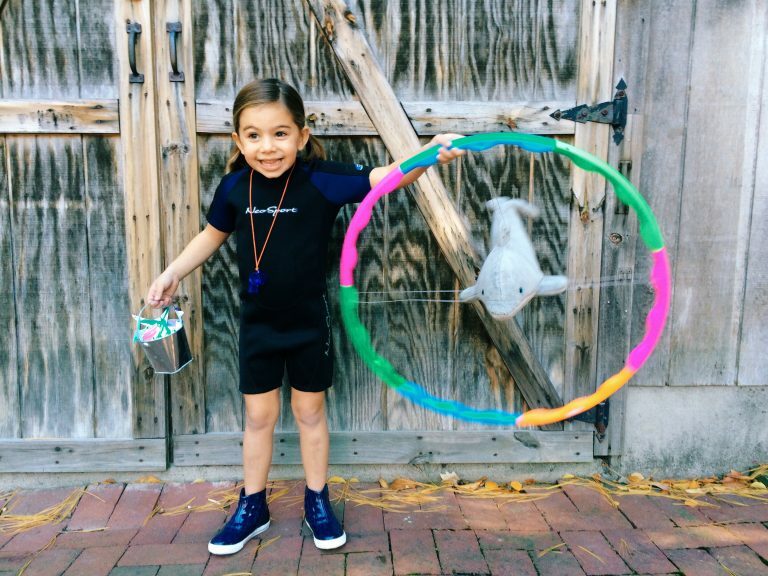 For directions on how to make this dolphin trainer costume, click here. 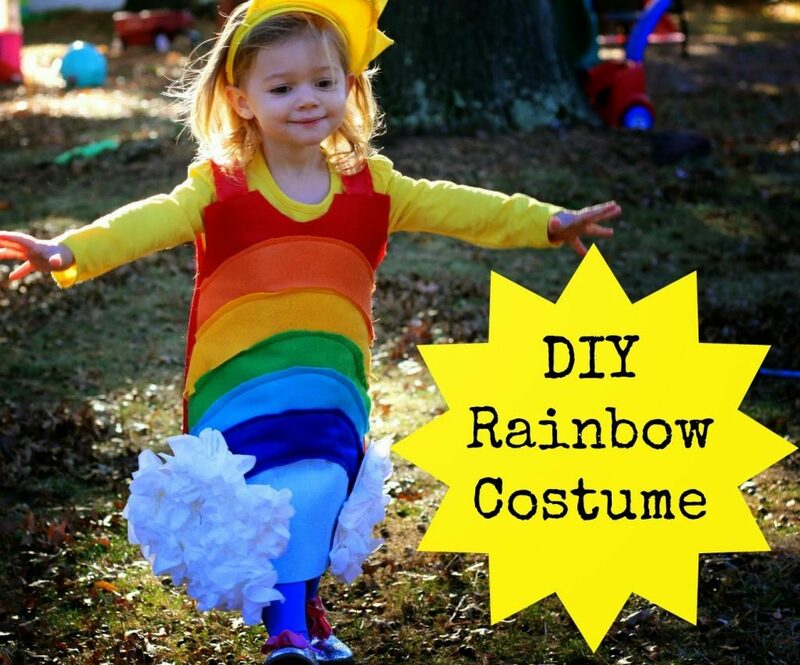 For directions on how to make this Rainbow costume, click here. For directions on how to make this Pluto costume, click here. 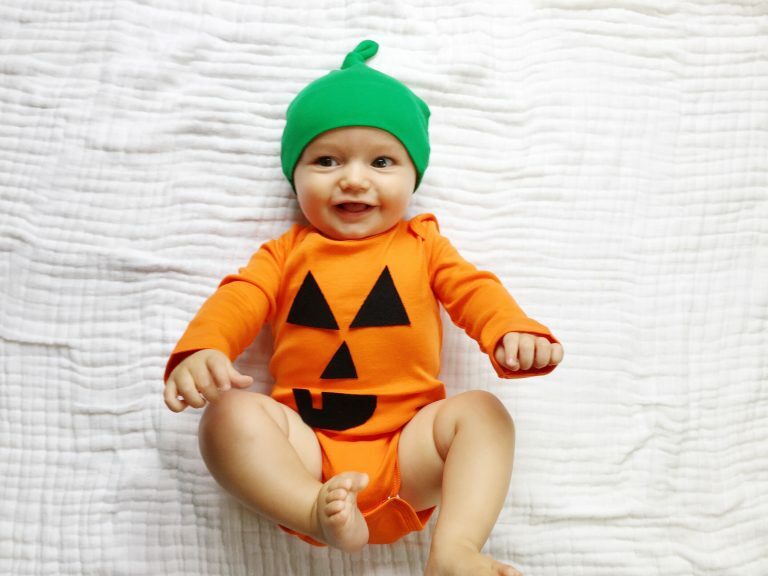 For directions on how to make this Pumpkin onesie costume, click here. 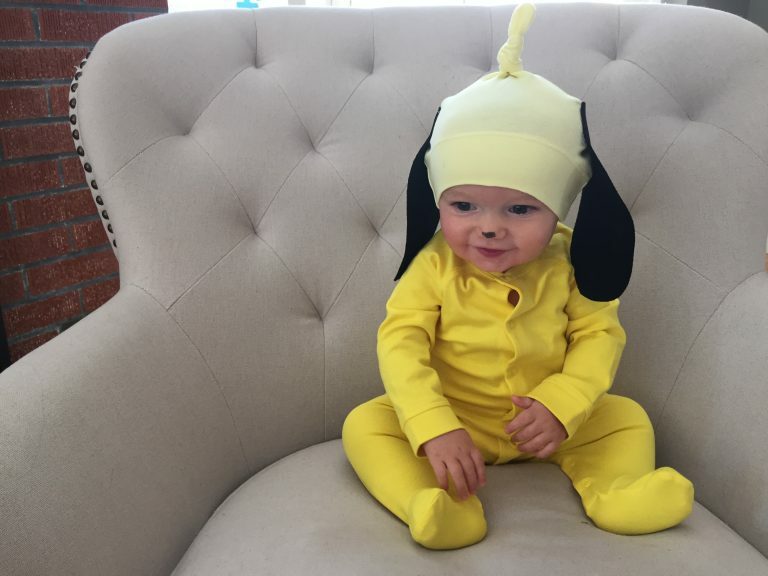 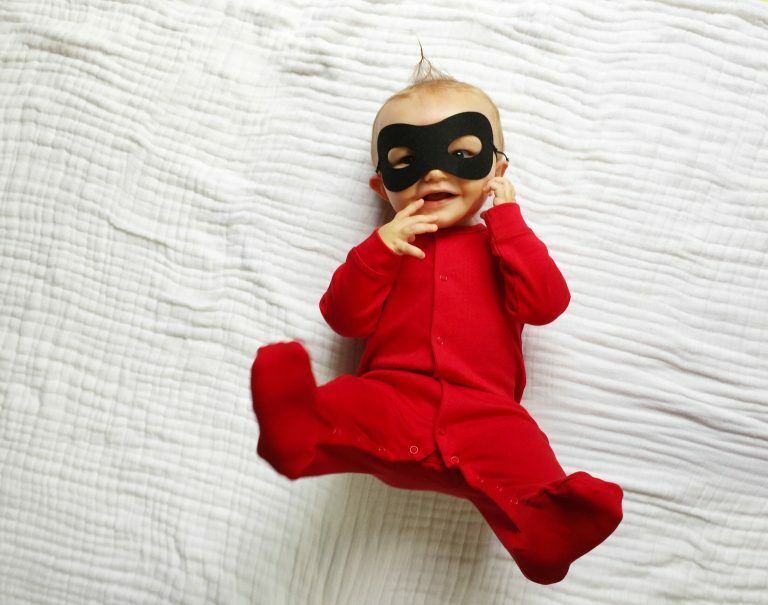 For directions on how to make this Incredibles Jack Jack costume, click here. 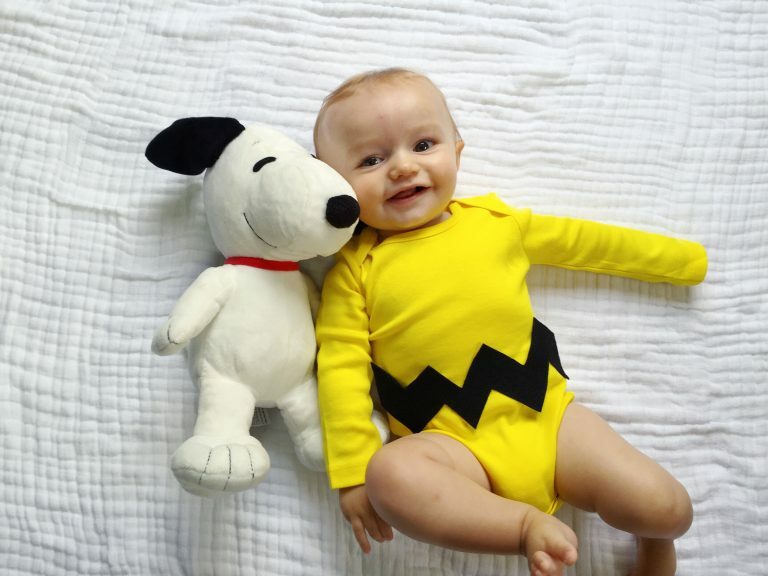 For directions on how to make this Charlie Brown costume, click here. 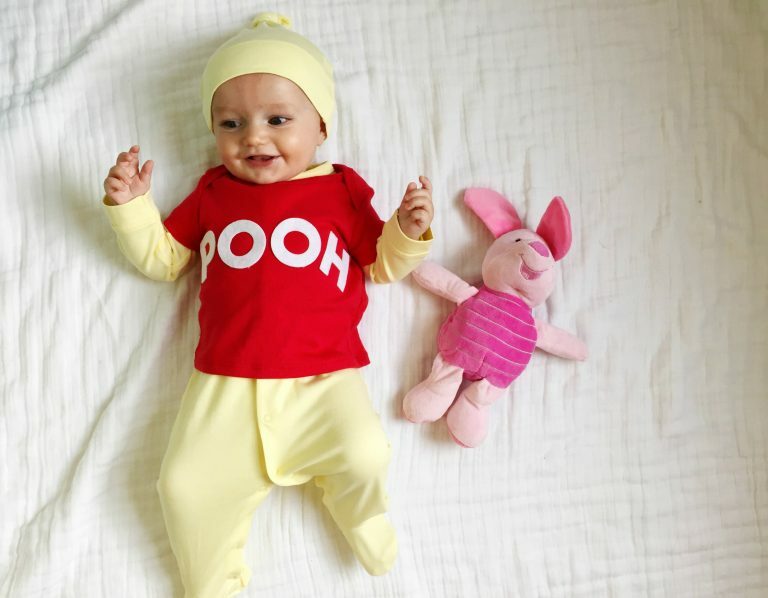 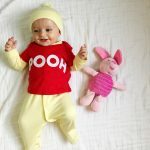 For directions on how to make this Winnie the Pooh costume, click here. 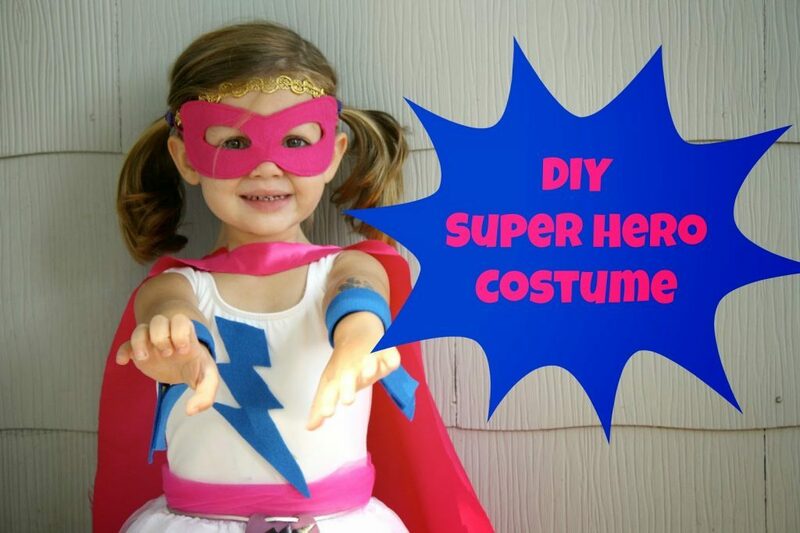 For directions on how to make this Gumball Machine costume, click here. 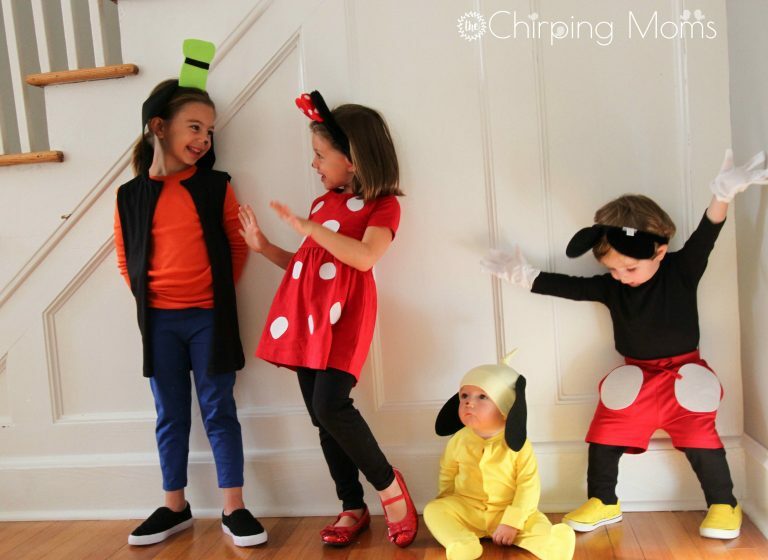 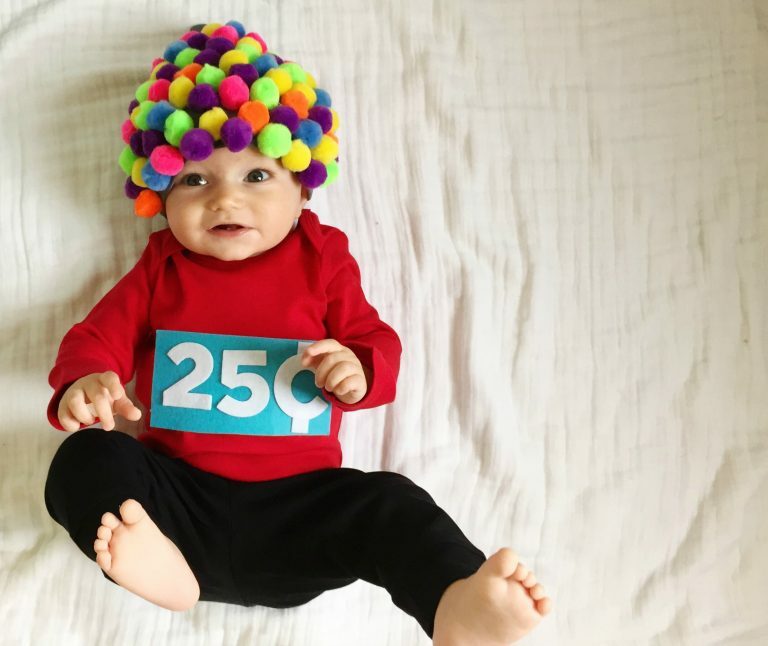 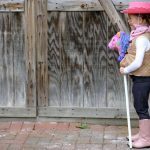 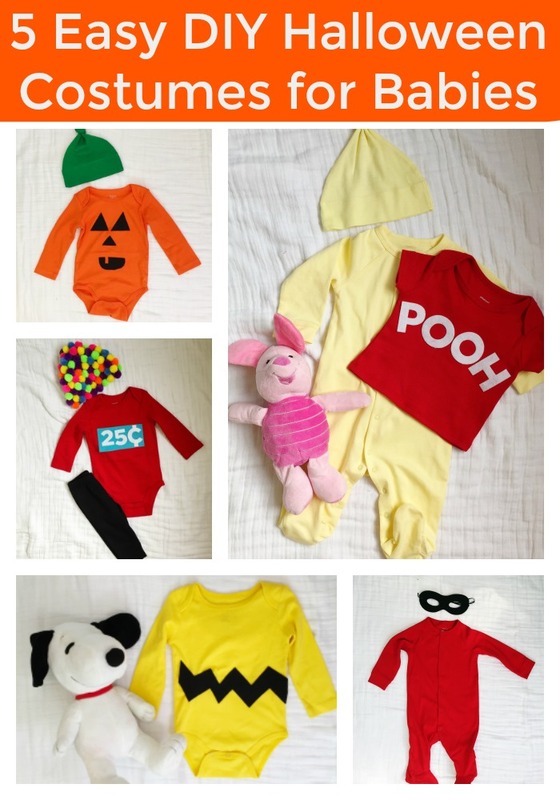 Get ready for more adorable DIY costumes for babies and kids over the next few weeks!